National Federation Party leader Biman Prasad says the issues that the NFP stand for are clear. He was commenting on Government’s criticisms about NFP’s position on various issues. 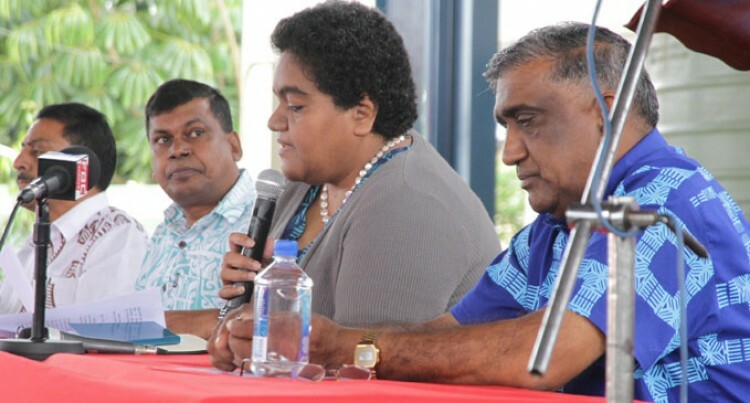 Prime Minister Voreqe Bainimarama has regularly told how the policies of the NFP’s Opposition senior partner SODELPA contradict what the NFP is said to stand for. Mr Prasad’s emotional attacks on the FijiFirst Government repeated previous rhetoric from the NFP. “Let me tell the Prime Minister, I have told him many times before and this is the scare tactics that he and his party used before the election,” Mr Prasad said. “Throughout the election they lied about NFP’s collusion with SODELPA, they lied about what NFP is going to do after the election and they continue to lie today about NFP’s position in parliament. Mr Prasad said so far they had done well in terms of articulating the voice and the position of the Opposition. “We have taken different positions when it comes to taking different positions,” he said. Other issues that were raised included concerns about the sugar industry, local government elections, unemployment and education, media decree and constitution. Delegates called for cane growers’ elections. Mr Prasad said they raised this in Parliament, however, they did not receive a good answer. He said they had even suggested to have a special committee on sugar industry where issues of farmers, cane growers and mill issues should be dealt with. “The deduction of levy is illegal because an annual budget has to be approved by the sugar cane grower’s council, endorsed by its board of directors and certified by Sugar Industry tribunal and this has not happened in last six years,” he said. Bimal Prasad of Navua questioned the pending declaration of Navua as a town. The delegates called for local government elections. He questioned why there was a delay in restarting them.